When it comes to beautiful old towns in the UK Rye must be one of the finest. Rye has buildings built in the 14th Century and before and still retains it’s fine character. Rye is one of the Cinque Ports founded by Henry III in the 13th Century. Once right on the sea it is now a few miles inland but with inlets from the sea reaching up to the town. Nearby is the Military canal, an invasion fortification built in the early 19th century. The town was once the haunt of smugglers and the Mermaid Inn, rebuilt in 1407 is still a centre of attraction in the town. 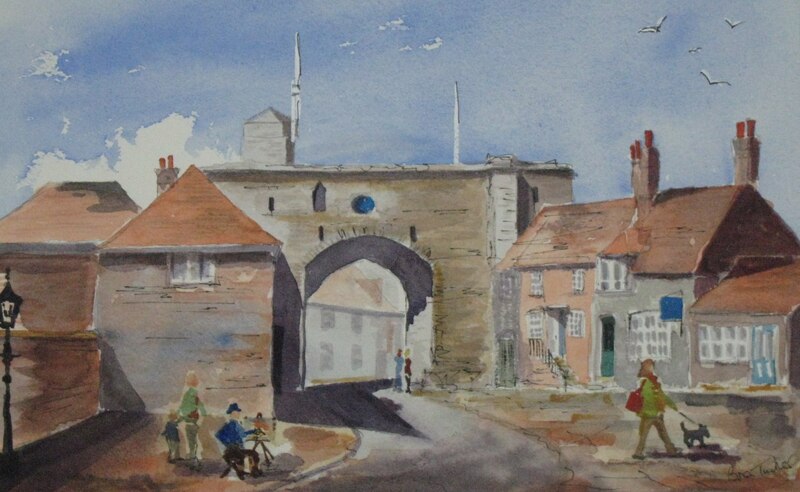 The town was once fortified but only the Landgate remains of the original four gates to town. The views of the town, perched on a hill are an invitation to paint, especially when the town silhouette is seen against various skies. Here are just a few painting of the town painted over the years and some more recently. It will always be a place to return to as it has been subject for many painters over the centuries. If you haven’t visited then I urge you to do so one day, and in the meantime I hope you enjoy these watercolours. 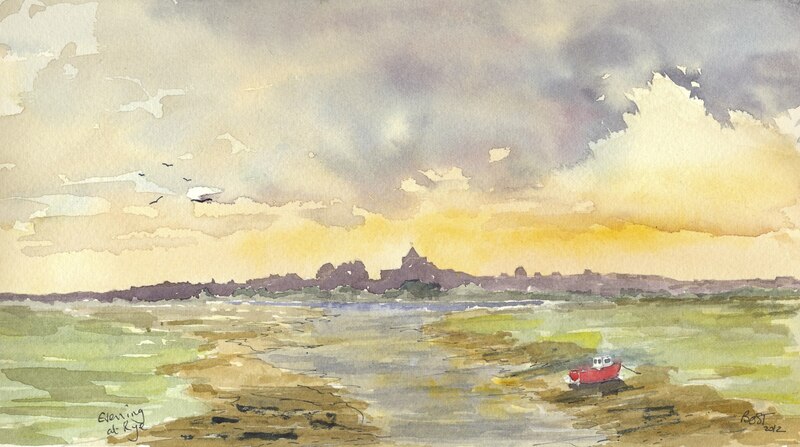 Fishing boats in Rye Harbour, one of my first attempts at watercolour! 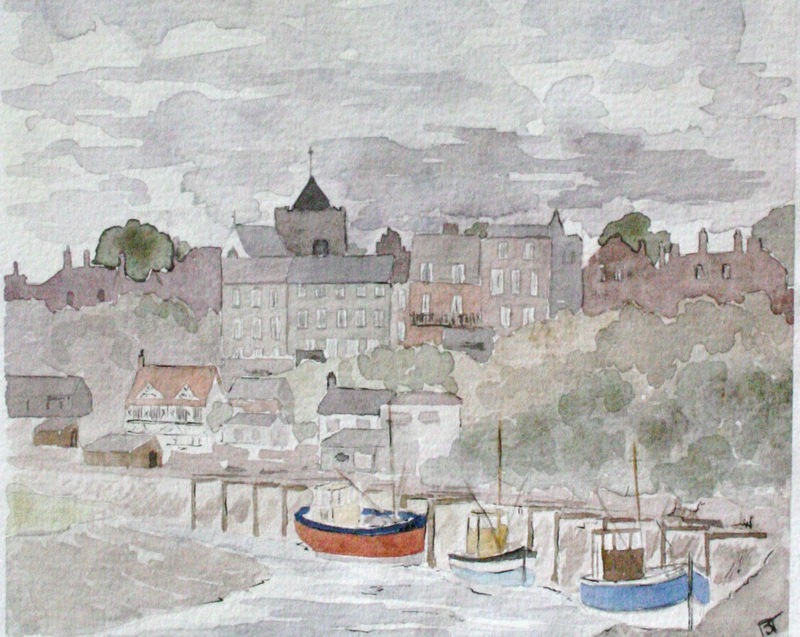 Posted on February 14, 2013, in Paintings from our travels and tagged East Sussex, Paintings from our travels, Rye, travel, UK, Watercolours. Bookmark the permalink. 8 Comments. These are super. Really lovely. I like the way you are now putting people in your paintings! Thank you so much for the comment,I do like your always interesting site. 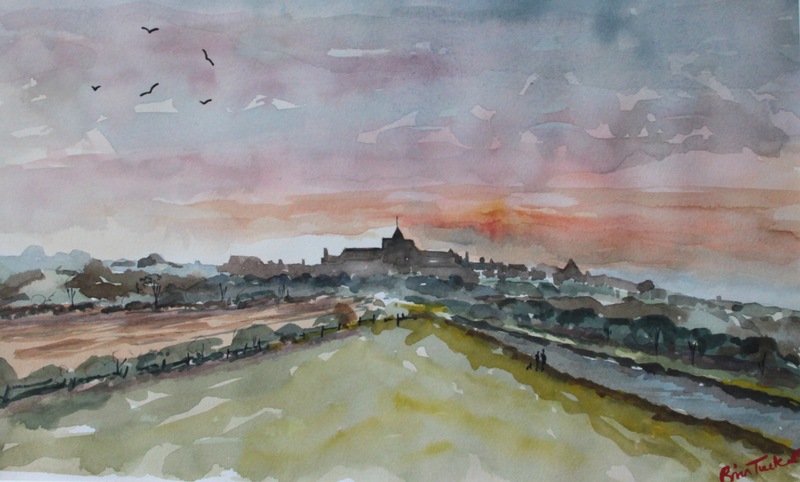 Lovely art work, would love to feature your work on our hobbies website, cheers, Graham…..YourHobby….. I find great pleasure in painting and the blog!